This party pack comes with 24 hand glittered masks. 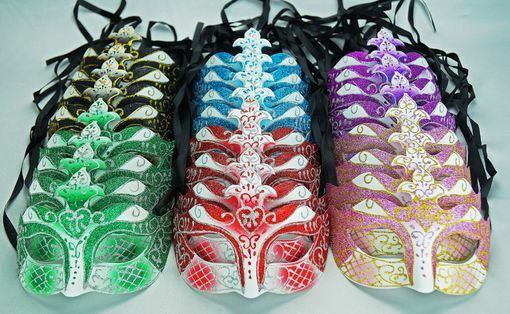 Great for large Masquerade or Venetian parties. Comes with black ribbon ties. Colors in mask party pack red, blue, purple, black, pink and green.